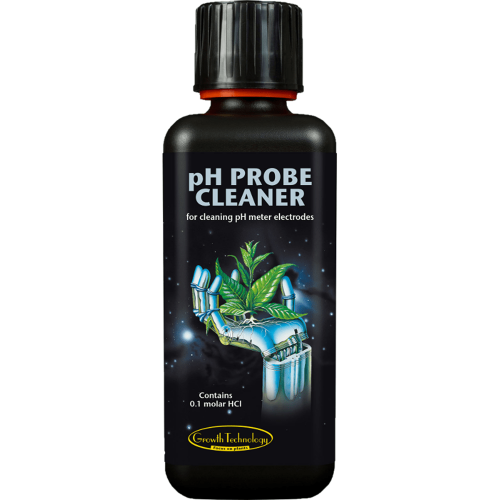 Growth Technology PH Probe Cleaner is a cleaning solution containing dilute hydrochloric acid. By standing your pH meter probes in probe cleaner overnight, the solution will remove debris, dirt and salt that builds up during normal use of your pH meter. Keeping your pH meter probes clean is essential for accurate readings and maintaining the lifespan of you pH probes. Keeping your PH meter probes clean is essential to make sure that you get accurate readings and to maintain the lifespan of your meter.